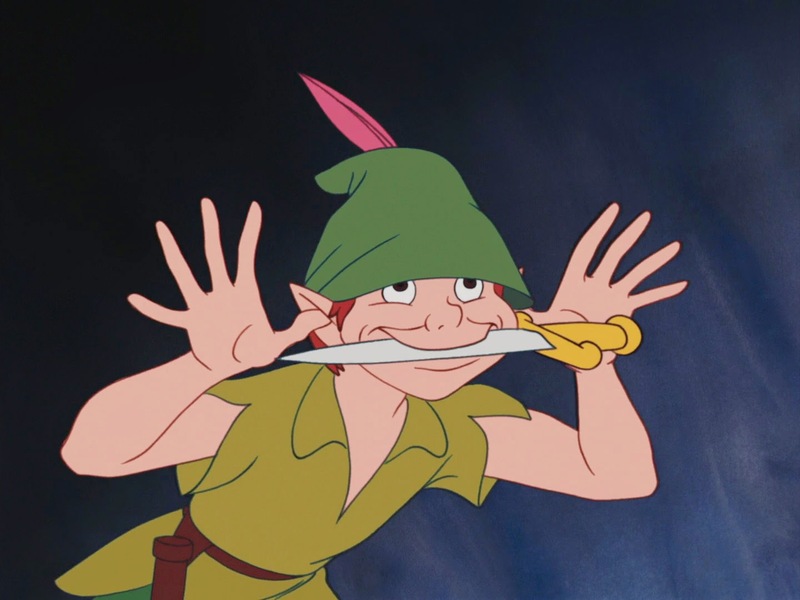 The Peter Pan scene pictured above was animated by Eric Cleworth. 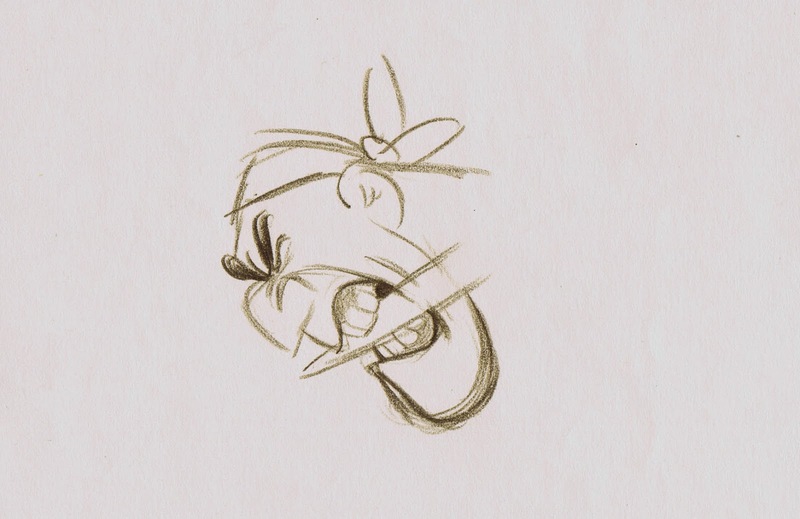 But since Milt Kahl was the supervising animator on the character, he gave Cleworth this one key drawing, which shows Pan being goofy as he interacts with Captain Hook during the Skull Rock sequence. 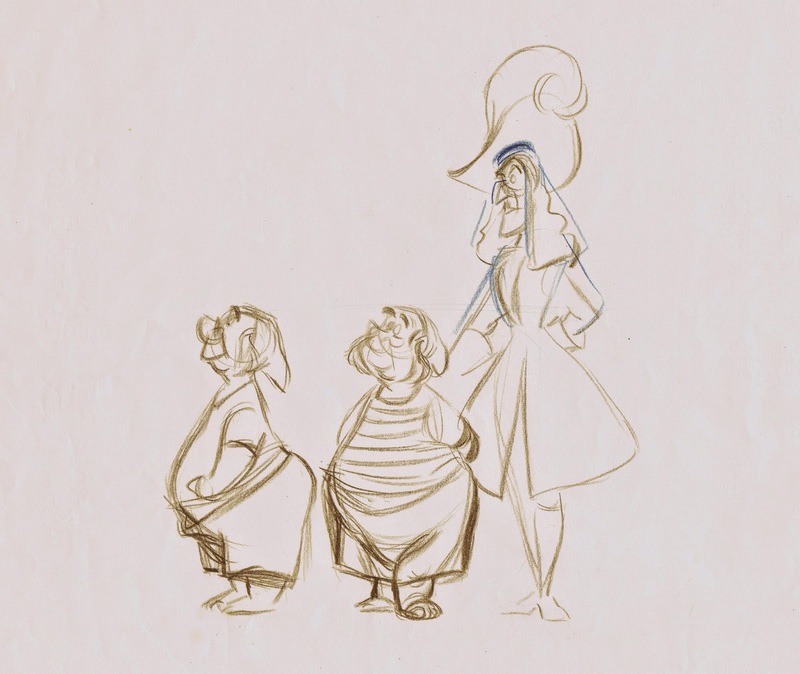 This kind of drawing help was a big part of Milt’s job at Disney. 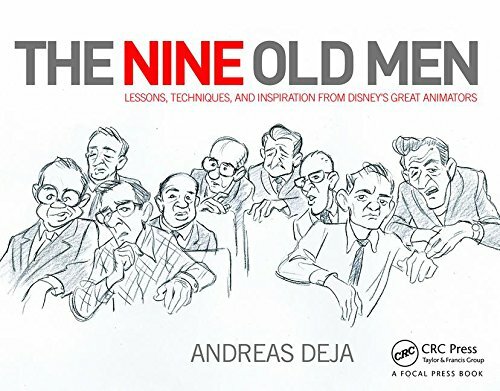 Since he was the authority on quality drawing, other animators frequently asked him for drawings that would help make their scenes look better. 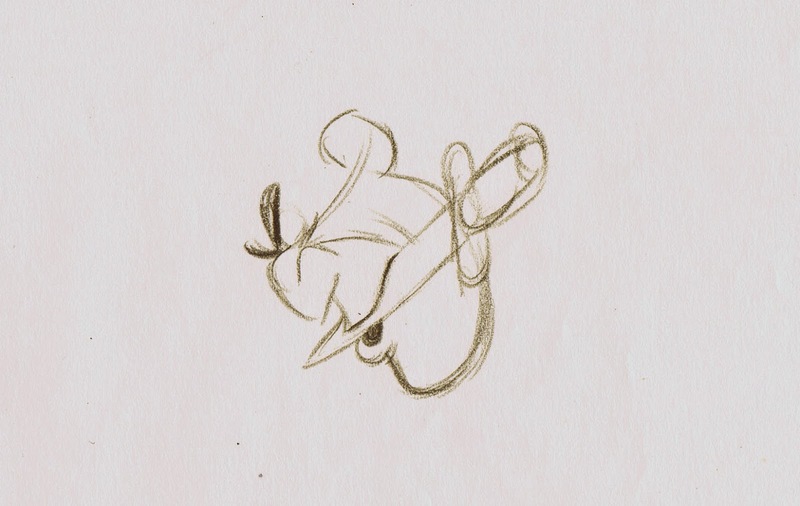 Milt resented this to a point, because it slowed him down as an animator, but he also knew that this process was necessary to ensure a high level of drawing throughout the picture. As a result you find many characters and scenes that Milt never animated, but they do benefit from that Milt touch. 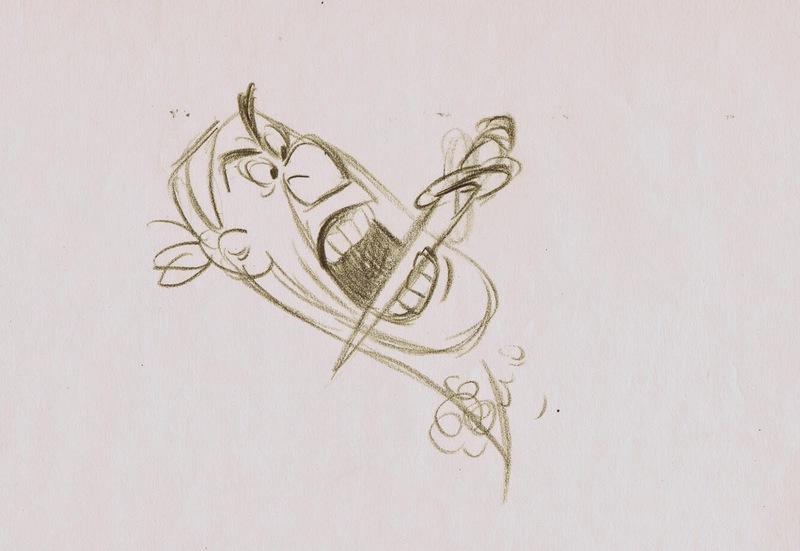 Then there are animators like Frank Thomas who on occasion wasn’t happy with what Milt came up with, because he felt that the re-drawn poses had lost the essence of Frank’s acting. 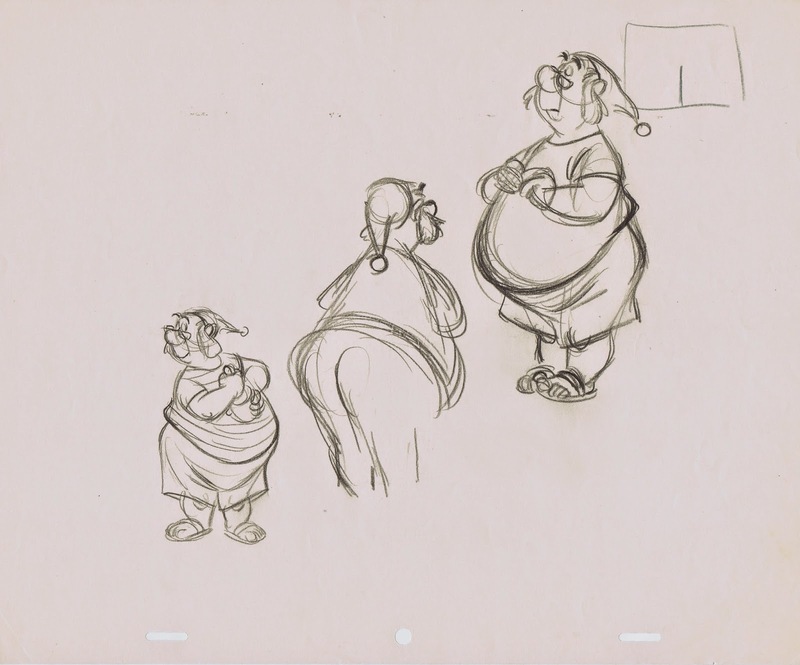 You can see how this could become a problematic issue, but in the end I believe Milt’s “quality control” was a good thing that helped to establish visual consistency in the Disney films. What beautiful clarity in these broad expressions of a pirate. 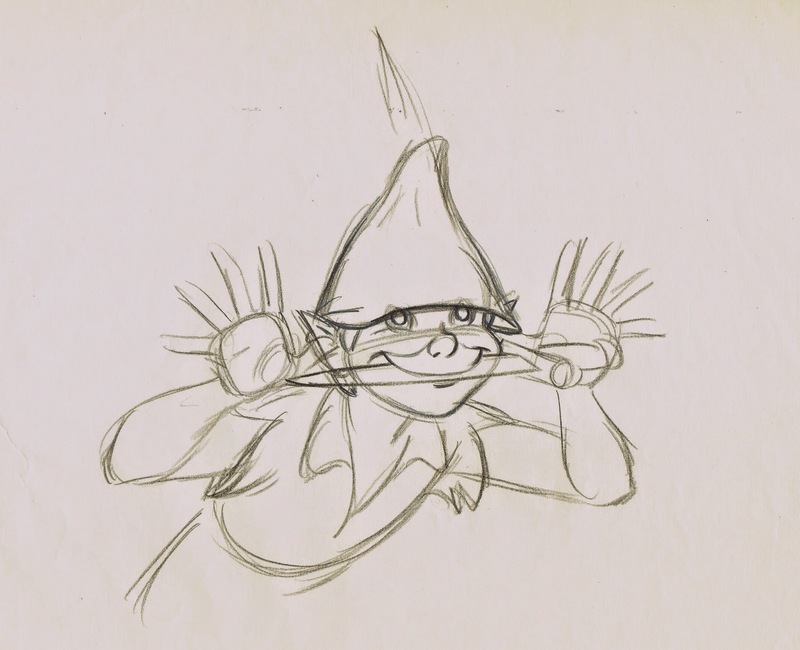 Milt's early version of of Mr. Smee, which animator Ollie Johnston used as a visual springboard, but then greatly improved upon.